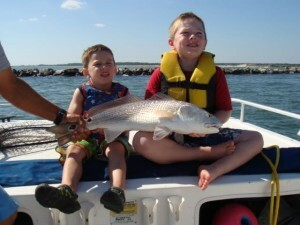 We’re often asked where your fishing charter will go in the inshore fishing waters of Myrtle Beach. We have good news — we can travel anywhere you’d like to go. Each of our charters is your own private boat, so you’ll be just with your family and our Captain on the boat to find the best spot for you. 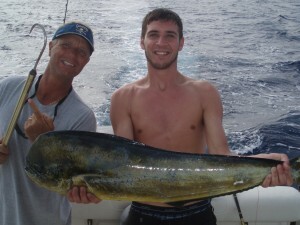 In general, we have a few different places that we go depending on when the fish are biting during that time of year. We fish year-round from Little River to North Myrtle Beach & beyond (sometimes we’ll stretch into Sunset Beach or south into Myrtle Beach), so we’ll know the week of your trip where the fish are biting best. 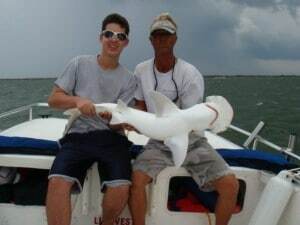 Where fish are biting can change from day to day, so we adjust each trip according to our experience. The air temperature, water temperature, tide status and even bait selection can all have an impact on where the fish are. A spot that was not productive at 11am may be on fire at 3pm! 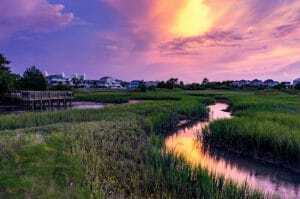 A few of our most common fishing areas are featured below — inshore, deep sea (near shore) and the Little River jetties. Each area has its own benefits, unique fishing challenges and species that we are likely to catch. Depending on the length of your charter, we’ll often move 2 — 4 times between different spots to target new species and put you on the fish you and your family like best. If you have any questions, feel free to contact us and we’ll be happy to chat with you about your ideal trip.